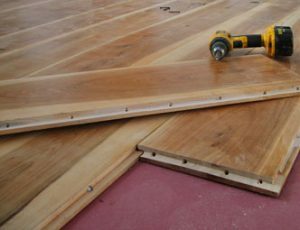 There is a lot of preparatory work to be carried out before installing an oak floor. 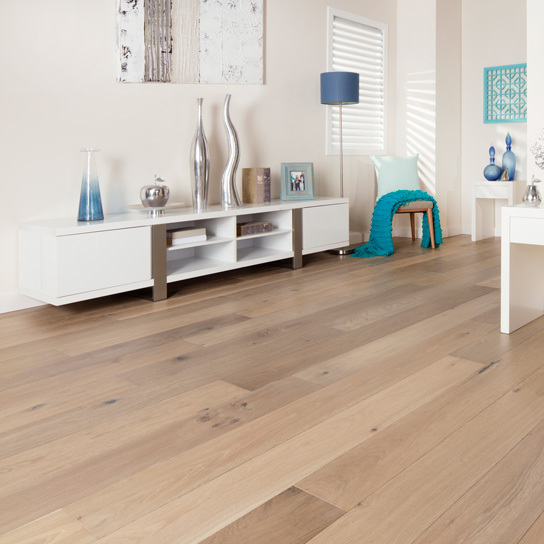 Firstly, you should choose a high-quality oak flooring product and select your favorite color. Select colors that complement the mood that you would like to create and match your decor style. 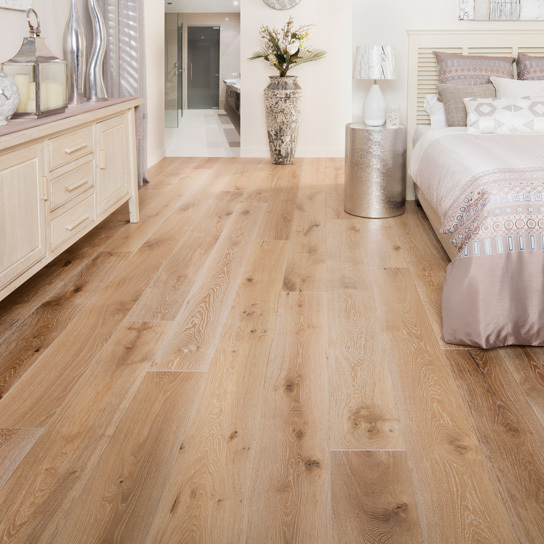 No matter what type of oak flooring you choose, you’re guaranteed a beautiful and elegant floor. Measure the width and length of the room and multiply for the square footage. Make sure there are no squeaks in the floor. If there’s a squeak, screw a long drywall screw into the sub-floor and joist where the squeak occurs. Remove shoe-molding from the room and sweep and clean thoroughly. Roll out the vapor barrier paper is a very important step. 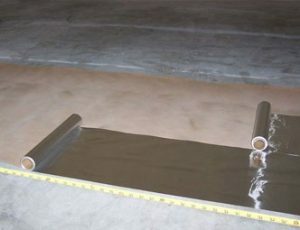 Roll out strips of vapor barrier paper, allowing at least a 4″ overlap and staple securely to the sub-floor. Prior to installation, it’s important to relocate all furniture and other objects from the rooms where new flooring is to be installed. 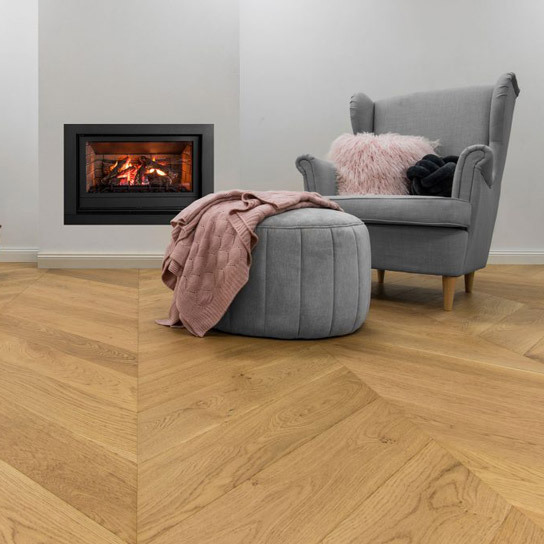 All hardwood products need to be acclimated to their new environment for at least four or five days prior to installation so that the natural material can expand or condense prior to installation. Plan to stay home on installation days. Inevitably there will be questions to answer and decisions to be made. Your presence will help ensure that your new floors are correctly installed in all the right areas. 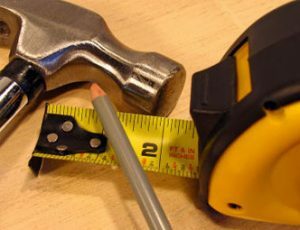 Oak floor installers use a variety of tools and techniques that can make the work area hazardous. Be sure that children and pets are kept out of the work area. If you’re installing floors in the kitchen, for example, plan to have food and drink available in another room so that entering the kitchen during work hours won’t be necessary. When these preparations are complete, you can begin the installation. Installing oak floors is an art. Before you start planning that open house to show off your new investment, it’s important to focus on the right installation process. 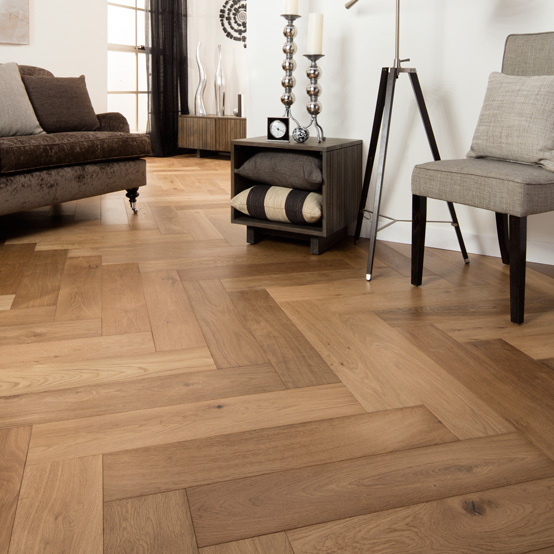 If you need more info about oak flooring installation, please refer to Grand Oak’s Installation Instructions.